Elizabeth Ann Martin, age 82, of Aurora, Missouri, passed away at 5:24 p.m. on Monday, January 28, 2019, at the Spring Valley Health and Rehabilitation Center in Springfield, Missouri. She was born March 3, 1936, in Reeds Spring, Missouri, the daughter of Clyde and Stella (Smith) Barnes. Elizabeth attended school in Aurora and was an in Home Health Care Nurse. 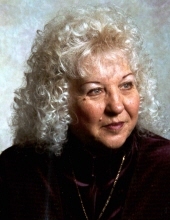 Elizabeth is survived by her two daughters, Debbie Eaves of Aurora and Tonya Diaz, of Monett, Missouri; three grandchildren, Brent Eaves of Aurora, Chance Eaves of Springfield, and Akaimi Diaz, of Monett; three sisters, Maxine Dawson of Verona, Missouri, Betty Melton of Aurora and Frieda Hilton of Springfield; two brothers, Rex Barnes and his wife, Debbie, of Verona and Robert Barnes of Aurora and several nieces and nephews. Her parents, Clyde and Stella, one sister, Barbara Garoutte and three brothers, Raymond, Fred and Lonnie Barnes, preceded her in death. A visitation will be held from 1:00-2:00 p.m. on Friday, February 1, 2019, at the Crafton-Cantrell Funeral Home in Aurora with a funeral service to follow at 2:00 p.m. in the funeral home chapel. Burial will follow at the Maple Park Cemetery in Aurora. To send flowers or a remembrance gift to the family of Elizabeth Ann Martin, please visit our Tribute Store. "Email Address" would like to share the life celebration of Elizabeth Ann Martin. Click on the "link" to go to share a favorite memory or leave a condolence message for the family.